In an effort to garner goodwill and positive relationships Brian Krieger and the 2010 Commerce Centre are planning to give away free film and donuts to journalists at the 2010 Media Centre. I heard Mr. Krieger speak at two separate luncheons, the first in Burnaby at the Chamber of Commerce on March 9, 2005, and on March 16 at the Squamish Chamber. If SMBs (small and midsize businesses) are to be competitive it is critically important to see the entire picture. Unfortunately, like his counterparts at VANOC, Mr. Krieger doesn't provide all the facts. For example, in a similar instance on October 14, 2004 John Furlong, CEO of VANOC, tried to convince business leaders at a Vancouver Board of Trade luncheon that Athens 2004 was a triumph. He performed a cheerleading "Rah Rah Rah" after returning from a $380,000 trip to the Greek Games to let us know that everything was a "Great Success!" He reported that the only negative aspect of the Games was how media blew issues of unfinished construction, doping, and poor attendance out of proportion. He implied that if media played the game better (I suppose he meant distorted the facts) more sports fans would have shown up in Athens. Furlong failed to tell us that Athens was a financial disaster created in large part by Olympic organization mismanagement. Greece incurred $12 billion in Olympic debt ($75,000 per household). ATHOC (Athens' counterpart to VANOC) and the IOC lost control early in the planning stages and it escalated to chaotic proportions as time went on. Unfortunately, Krieger also failed to caution the audience in both Burnaby and Squamish that mismanagement is par for the course in many Olympic regions. Even more unfortunate is that it negatively impacts taxpayers and SMBs more than it does big business sponsors who can absorb the loss and move on to fight another day. Athens 2004 might be construed as a success for John Furlong and big business, but it certainly wasn't a success from an SMB perspective. As a Greek SMB, I would have expected to appropriately and proportionately share in the big business sponsor success too. For example, NBC boasted they gorged on a record breaking 4 billion viewers while small businesses in Greece ate cold raw debt. According to the Globe and Mail, Greek Prime Minister Costas Karamanlis issued a statement revealing that the country's deficit jumped more rapidly and higher than all other European countries. It shot up 4 times its projected level and twice the legal limit allowed for European Union member countries. As a result, bond-rating agency Standard & Poor's dropped the country's debt-rating outlook from "stable" to "negative" blaming "an accelerating loss of fiscal discipline" partially related to the Games. They also reported Greece's fiscal position as the weakest of any major European economy. Karamanlis placed the blame squarely on the Olympics. What does this have to do with Brian Krieger at Chamber of Commerce luncheons? Plenty. To begin with, his plan of supplying free film to journalists to entice them to report positively about B.C. is ridiculous. Free film? We live in a digital era. Hardly anyone uses film today, let alone in 2010. Most, if not all media use digital cameras, but it is possible that Kodak, an official Olympic sponsor, made Krieger a deal he couldn't refuse. Krieger also makes jokes about plying journalists with donuts. He's mixing stereotypes and must be thinking of that tired old slight aimed at Vancouver's finest. It sounds like Krieger is watching too much of "The Simpsons" instead of doing his homework. Free film and donuts only work in cartoons. As Homer would say, "Hmm, free goo." or "Ahh Donuts, Is there anything they can't do?" Click here for more Homerisms, or here for an audio track. Krieger has the right idea in principle, but he makes too big a deal out of patronizing unaccredited international reporters. He stated his reasoning is that he doesn't want them to report negatively about our communities. He used heroin abuse as an example during the Squamish Chamber luncheon, obviously not caring, or maybe not realizing that Squamish is an hour drive from East Hastings. The example also didn't have relevance the week before in Burnaby, but he used it there too. I have a suggestion, instead of plying journalists with free film and donuts in an effort to get them to overlook the heroin crisis in Vancouver, Vancouver should fix the heroin crisis. Krieger must be confusing journalists with Olympic judges if he thinks he can sway their opinions so easily. Most journalists I know can't be so easily bought. They might be convinced to distort the truth a bit if you toss them a free luxury car, West Van mansion, or swank trip to the Riviera, but you can't ply them with donuts, or especially with film, which they can get free from their employer -- if they needed it in the first place. The first time Krieger mentioned it in Burnaby I let it slide as an off-the-top of his head comment, but when I heard him repeat it in Squamish I realized he wrote it into his script and that he doesn't get the big picture for small business. Like most Olympic organization reps I'm sure Krieger knows what will work to help big business succeed and profit, but he doesn't have any idea what small and midsize businesses need - or if he does he's not sharing it. He waxes poetic about how well Sydney, Australia represented SMBs in 2000, but he failed to tell us any details about what the mayor of Sydney and SMBs had to go through with the IOC in order for SMBs to get their fair share. The reality is that SMBs and the mayor combined forces to go nose to nose with the IOC in an effort to rewrite rules that would benefit local SMBs. It was a nasty battle that at one point saw Sydney snub the official courier UPS and instead use their own local courier company TNT to deliver Olympic tickets. UPS was so incensed they refused to renew their sponsorship when it expired. It got even worse regarding official Olympic uniforms being made offshore in sweatshops hidden behind shell companies managed by Olympic organizations. Local Sydney clothiers had to fight hard to get Olympic organizations to live up to their promises. Krieger failed to mention the shell game controversy. So far all VANOC has done is pander to the IOC. Last February Jacques Rogge, president of the IOC, was treated too much like a king when he visited B.C. No one at either VANOC, the mayor's office, or the provincial political sector stood up for the small business perspective. In fact they disappeared into the woodwork instead of helping small business owners who are experiencing the wrath of the big business Olympic machine. So far, the only group to represent SMBs fairly is news media. Furlong and the Campbell Twins Larry and Gordon are too busy socking away wheelbarrows full of money from sponsors like Bell, HBC and RBC to find time to help SMBs. Don't misinterpret my allegiance. I value corporate sponsors because without them the Olympics would not exist. They make it all possible. In fact I had a really good conversation at the Squamish luncheon with a rep from Bell. He concurred that it was very important for Bell to look locally for suppliers and made it clear they were going to be very careful to respect businesses in the region. He assured me it was in Bell's best interest to use local talent and suppliers while building the 2010 Games. It was reassuring to hear it directly from the source. As long as they follow through in this regard I'm in their corner. I sat beside Michael Chin, CEO SODC (Squamish Oceanfront Development Corporation) during the luncheon. He seemed to be the most sought after person in the room, and it's no wonder, because the waterfront projects he's responsible for developing has great potential to revitalize the city. Michael is a highly qualified engineer who worked for Concord pacific and has extensive experience developing oceanfront projects. His responsibilities will include planning, administration, promotion and development of the 79-acre waterfront site that includes a deep-sea port, marinas, ocean walkways, seaside residences, parks, public market, restaurant, arts and cultural centre and industrial space. Michael is in a great position to leverage Olympic momentum, but he can't do it alone. He needs input and cooperation from everyone in Squamish. His responsibility will be to quickly take a small community and develop it into a global player. Overnight Squamish has to go from being a struggling forestry town to a tourist Mecca capable of hosting world travelers. The Squamish waterfront has incredible potential to be the jewel on the sound and the world's gateway to adventure in B.C., but only as long as they leverage Olympic momentum in a "think local and act global" way. The resounding message to local suppliers and contractors in Burnaby, Squamish and all regions surrounding Vancouver is to get your company up to worldclass speed and do it today if you expect to leverage Olympic momentum. Companies like Bell are only going to ask once and they won't go out of their way to find you. Once you're found, which is the easy part, the challenge will be to prove you can deliver. Time is the immovable object. Sponsors can always throw more money at it, but they can't buy time. If you want to secure a contract with sponsors or Olympic organizations first make sure your company is accurately represented online and then register at the 2010 Commerce site Krieger manages -- that's the finding part mentioned above. My criticism of Krieger might sound harsh, but it's vital to understand that he manages an important information database for 2010, and if it is to be effective for SMBs it's critical that he gets it right. When you register at Krieger's site, sponsors and Olympic organizations will eventually end up on your website, and if your online presence looks unprofessional, or even remotely looks like you can't deliver it's highly doubtful they will even consider you. 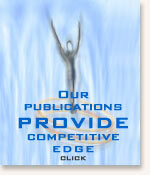 Update your online presence and do it professionally with the intent of attracting Olympic work. Look and act like you're a global player, and do it today. I'm also critical of Krieger because in Squamish he failed to tell the room that the corridor between Vancouver and Whistler is exactly that - a corridor. It is irresponsible to imply there will be opportunity for SMBs along the corridor during the Games without also stating clearly that the corridor is little more than a hallway, a route, a highway, and unless VANOC does something specifically to make places like Britannia Beach and Squamish "Stop Off Zones" all the Olympics will do for the region is artificially inflate house prices, increase property taxes, jack up commercial rental rates, create complex municipal regulations, increase traffic, create security nightmares and generate construction havoc. Opportunity for SMBs is not going to combust spontaneously. If you are one of the lucky few companies able to supply Olympic sponsors -- great, but make sure you know what you're getting into when you sign supplier contracts with sponsors because Olympic organizations and their sponsors aren't in business to help you profit. Big business shareholders are profit-centric, but their allegiance lies within. All you have to do is look to Bill Gates and Microsoft as an example. Also, Olympic organizations are built on a volunteer model and are always looking for a hand out. They never pay market value for anything, so beware. If you want more information in this regard click on "Leverage Olympic Momentum" at the end of this article. The reality is that most SMBs (approximately 95%) have nothing that Olympic organizations or their sponsors will consume directly. But don't worry, because ironically, if you're smart and know how to manage it properly this is a good place to be if your plan is to profit. Operating on the periphery is a lucrative zone as long as you leverage Olympic momentum properly. Most companies that supply products and services to Olympic organizations DO NOT profit in the way you might think, so if you have ideas of making a killing forget it. Fortunately, if your goal is to generate more substantial revenue there are ways to leverage Olympic momentum. For example, let's take a closer look at Britannia Beach and Squamish. Land prices have gone through the roof since the Olympics were announced. Whether they like it or not, like the rest of us, residents and SMBs in these areas will pay for the Olympics. The question is, if they have to pay shouldn't they also profit? Many companies that do not have products or services for direct consumption by Olympic organizations or sponsors wonder what they have to do if they want to profit. Basically, they have to "ambush" the spectacle. Olympic organizations hate the "ambush" word, and I don't blame them. So do I. Instead, think of it as leveraging Olympic momentum. Olympic organizations use the word "ambush" because it has a negative connotation and they want to elicit public sympathy the same way record companies try to convince us that if we download music it will hurt musicians. The reality is that big record companies hurt small musicians more than consumers do. Companies like Wal-Mart also wreak havoc with independent businesses in the community. In a similar way many Olympic organizations "ambush" communities when they mismanage and leave countries drowning in debt. Do you really think Greek taxpayers are happy to be stuck with a $75,000 US per household debt that will take them generations to pay off? Who is ambushing whom? 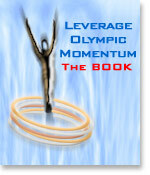 If you want to profit you have to figure out on your own how to leverage Olympic momentum. Olympic organizations won't help you cannibalize their brand. You have to fight hard for your right to share the wealth. And although no one is going to hand it to you on a platter, you will be surprised how Olympic organizations will help if you don't throw it in their face or tap directly into their revenue stream. Think global corporate selfish. Your plan should be to first support your own cause, but also create a secondary, or back-story strategy that appeals to them too. Put yourself first. They won't like it, but times change and they have to evolve too if they want to survive. A formidable challenge for Britannia Beach and Squamish is that Olympic fans are going to be driving past their businesses in chartered busses. Many people don't realize it yet, but during the Games the plan is to have the Sea to Sky highway closed to private vehicles. I'm sure, as you've sat patiently waiting in bumper-to-bumper dusty construction traffic on the Sea to Sky, that you rationalized the inconvenience by saying to yourself, "The payoff via the steady stream of cars bearing Olympic fans in 2010 will be worth it." Well I have a surprise, if all goes to plan the only private cars allowed on the highway during the Games will be locals and people on Olympic related business. They will be business-oriented and not on casual tourist outings. Athletes, coaches, trainers and officials will have a lot on their minds and be focused on the competition. Salt Lake City is a good case study. They had a similar plan to bus everyone over the Wasatch mountains in an effort of efficiency, and to protect the environment, but it literally fell through at the last minute when they were forced to divert more money to sport venues and logistics instead of rebuilding the highway and protecting the environment. At the eleventh hour they slashed environmental spending from $5.5 billion to 1 billion and had everyone drive their cars over the inadequately prepared highway to Park City. When sport fans arrived there was no place to park. At the last minute they clear cut forest to create temporary parking facilities. It was a disaster for the environment and everyone who lived in the area. How do I know all this? Pemberton resident, Olympian and ecologist Hillary Lindh spoke to a group of developers, architects and engineers last year at a day long seminar hosted by Vancouver law firm Singelton Urquhart. Hillary was a member of the Salt Lake City Organizing Committee Board of Trustees and gave us an inside perspective. You can read more about her story here. If you live in Squamish you might be thinking . . . maybe the same thing will happen here and all those sports fans will be driving their own cars through the corridor. Well it's possible, but more than likely they'll be shuttled on busses, at least that's the current plan. As we saw in SLC, no one knows for sure what will actually occur, but whether people are shuttled or they drive themselves, put yourself in the place of an Olympic sports fan. Envision that you're James or Mary Smith from Great Britain. You flew half way around the world to see "Eddy the Eagle Jr." and your total cost for flights, lodging, food, event tickets is $20,000 CDN +. I know what you're thinking. That makes sense. I'd do the same thing even if I lived in Seattle. The most important thing for me that day would be to get to the competition zone. But after the competition, on my way back, I'm definitely going to stop off half way to check out all those interesting signs we saw on our ride to Whistler early in the morning. Unfortunately, this is the conversation that will likely take place on the way back . . . "Honey," Mary says to James, "I'm tired. We were up really early this morning, I'm still jet-lagged, my feet are killing me and I just need a warm soak in the tub at the hotel before dinner. Besides, by the time we get to Britannia Beach or Squamish it will be dark, and you know dear, it is a long winding mountain road in the middle of winter. I'd feel much better if we just went straight back to the hotel and went to Granville Island or Gastown tomorrow." Granted, some busses will do a milk run, but I'm betting most Olympic fans will opt to express through. Do you think Krieger should have painted this more realistic picture instead of the "Rah Rah Rah think of all the opportunity cheer?" Don't get distracted by Olympic hype. Olympic organizations are in business to make a profit for themselves, their sponsors and shareholders. Not you. They've being doing it since 1896 and are very good at selling the set of encyclopedias, one book at a time if necessary. Get over it. It's a fact of big business life. In fairness to Krieger, he did say that raising visibility would be a company's best bet, and that the greatest gain would come after the Games left town. That's one of the reasons he told the room that Sydney Australia's tourism industry grew "after" hosting the Games. Olympic reps are pretty smart to mix retail and commercial opportunity anecdotes and use one to get you excited about the other. If you are a commercial supplier or subcontractor you have a different set of motivations or needs compared to a retailer interested in tourist traffic. Unfortunately, most Olympic organization reps fail to distinguish the difference and they mix it up in a big ball of confusion. The stats they quote don't transpose across different business models, so be careful. What you heard and what you thought you heard can be quite different. 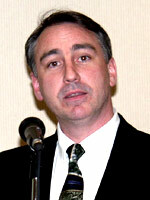 Krieger also failed to share with the room that in the years preceding the Games tourism usually grows substantially, especially when local tourism boards manage it properly. In fact in many regions the increase in tourism before the Games is greater than it is in the year after the spectacle leaves town. Local businesses stand to generate more revenue in the ramp up than they do during and after. The reason Krieger failed to impress this upon everyone is because he doesn't want you to eat into Olympic profits. If tourists arrive before the Games it is less likely they will return in 2010. One way Olympic organizations make money is by having visitors arrive during the actual seventeen-day event. During the spectacle it's not a coincidence that retailers without Olympic-licensed merchandise generate little revenue, if any at all. Some businesses close down during the chaos. Krieger didn't tell us that either. He also didn't tell us that resort traffic dies off considerably because locals don't want to deal with the construction chaos. The year before the Games can be quite sparse for many resort businesses. That's a fact and the reason you will have to work hard to make sure tourists know you exist. If you plan and execute properly, ramp up tourists can counterbalance the local resident shortfall. Krieger and Olympic organizations have a civic responsibility to give you a heads up, but they have no incentive to lead you by the hand and spell it out for you. Once they warn you their job is done. They have no legal or ethical responsibility to make you profitable. That's your job. Olympic organizations count their success in the billions of dollars. They don't share with anyone unless they have to or they are forced. It's dangerous to think of the Olympics like you did when you were a kid. Today it is a different game rife with corruption, fraud, doping and cheating. The Olympics has evolved from the sports-centric model we knew when we were kids into a profit-centric model managed by multinational corporations. Remember, you don't get what you deserve. You get what you negotiate. If you are starting to get the picture, but now thinking, "I knew it. There's nothing in it for me!" you can relax, because you have plenty of options, but you'll have to learn to think differently. No one is going to hand you anything. If you want it, you'll have to fight for it and actually compete with Olympic organizations. One thing is certain -- it won't be as easy as you thought. For example, to add another level of complexity to the picture, consider that Britannia Beach is only a short drive outside of Squamish. That short ride might as well be ten hours when you consider that even if you negotiate with VANOC to let buses stop half way between Vancouver and Whistler, the question is will the stop be in Britannia Beach or Squamish? You can guarantee one bus won't stop in both places. It's going to come down to what you have to offer and how well tourists have been primed for your specific offering. It will depend on how excited you get them before they drive by. Thank goodness you have a great website! Krieger did say one thing very clearly, start now and create your plan to raise your visibility independently. I'm betting most people didn't hear it, let alone are prepared to take the best advice he gave you, so I'm going to add, "Don't count on anyone or anything.